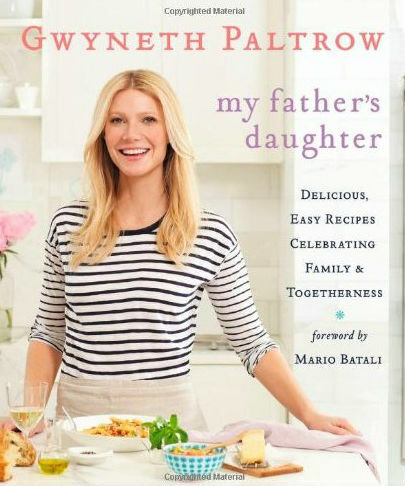 I’ve recently become obsessed with Gwyneth Paltrow’s cookbook My Father’s Daughter. I like her eating philosophy and the principles that inform her recipes: healthy, delicious food that isn’t too fussy. Her book isn’t entirely vegetarian (I’m not either), but isn’t afraid to make veggies the star of a dish. I found her recipe for vegetable paella online and made it for dinner last night. It was a lot of prep (over an hour an half gap between the first eggplant medallion I sliced to the time I served it up), but it was very flavorful (spiced with saffron and smoked paprika) and there are plenty of leftovers. After last night’s successful test run, I ordered the book first thing this morning. 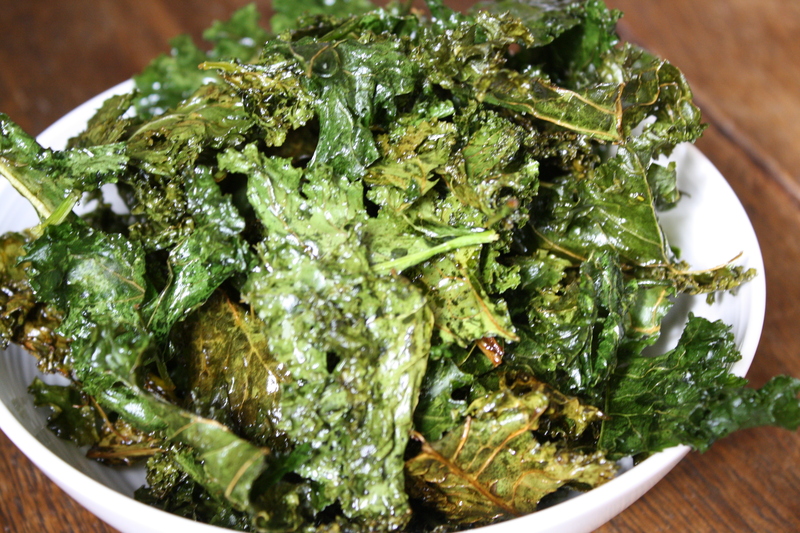 I also came across her recipe for kale chips, which I made this afternoon. The verdict: Yum! If it weren’t for their green, leafy appearance, you’d never guess they weren’t potatoes. Watch the clip from Ellen to see how to make the super-easy superfood snack, plus a demo of the veggie paella. I have made these as well! Great minds think alike. They are super GREAT! for your body. Good for you Katie! Kudos. Fab.photo as well. Keep up the taste, spirit, Opa!